The Asters of Autumn . . . 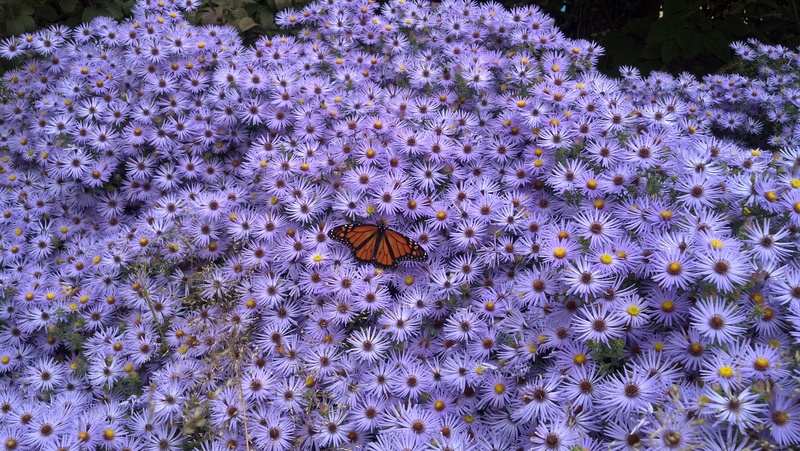 The Aster family, Asteraceae, holds court in late summer and autumn. A variety of these little daisy faces can be found gracing fall fields, roadsides, and urban greenways with their white, blue, and purple colors. Two attractive varieties can be seen throughout the West Village even now, in November, when most flowering plants have fallen to the frost. 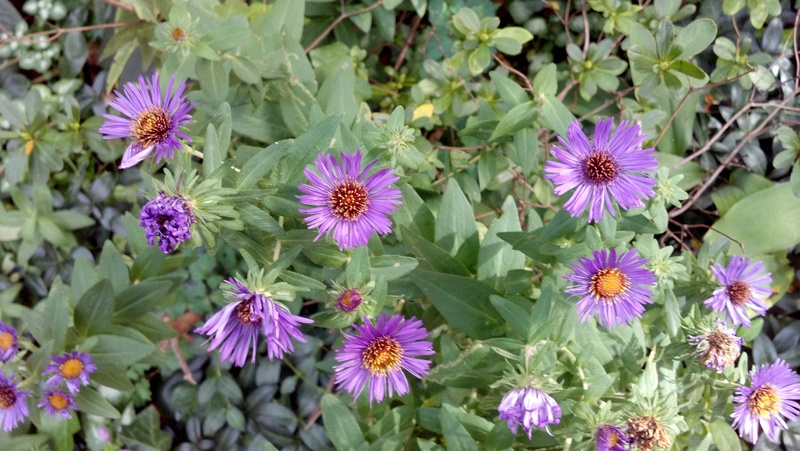 One is the New England Aster, Symphyotrichum novae-angliae, which can be identified by the leaves, which clasp the stem. 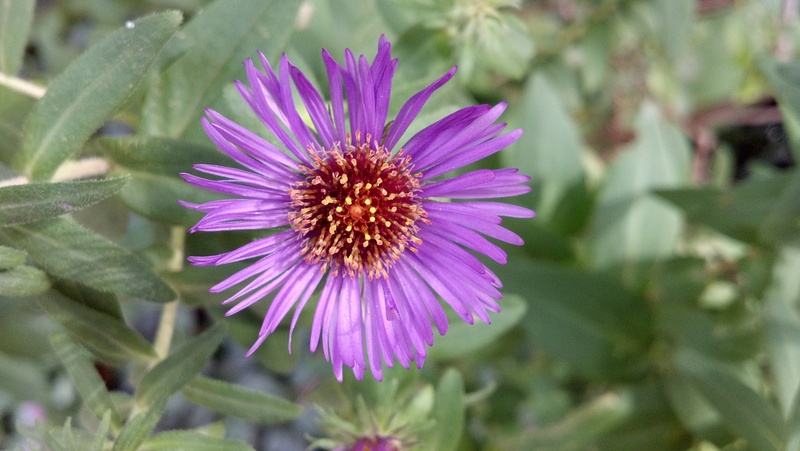 The blooms also tend to be more sparse and reside more at the purple end of the spectrum than its close relative, the New York Aster. Known also as the Michaelmas Daisy, Symphyotrichum novi-belgii has stiff stems that hold alternate leaves. The blossoms have pointed rays with a lavender hue that surround a yellow central disk. 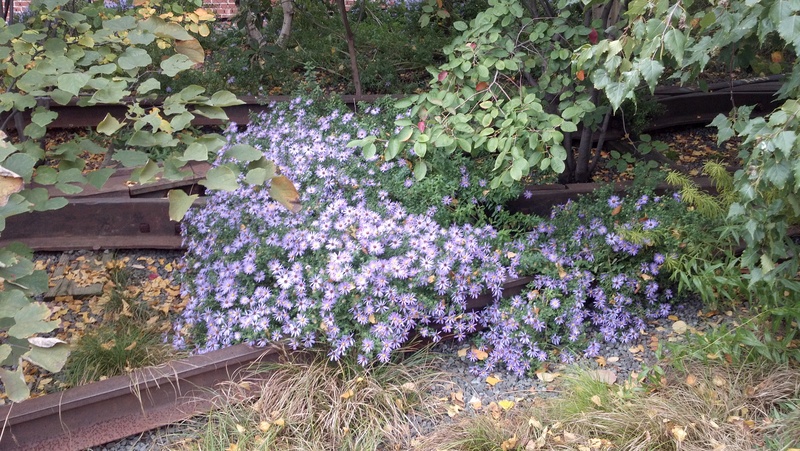 The New York Aster tends to grow bushier as well, often forming tight thickets covered with flowers. This species is also popular as a cultivated planting. Large colonies can be found blooming in between the old rusted tracks of The High Line. One other colorful lining should here be mentioned: Both of these beautiful native perennials attract late pollinators, especially bees and butterflies. Hi! I love the last photo on this page and have created a haiga with it. Would it be okay to use with giving credit to you? I’ve posted it to my page and will take it down if you do not want me to use it. Thanks so much!